Laura Rich was commissioned with creating a mammoth 64 landscape paintings in June of this year. The paintings, set to appear on brand new P&O cruise ship, Brittania, which is launching in the spring, were completed by her deadline of the end of October. This meant Laura had to paint nearly one a day. 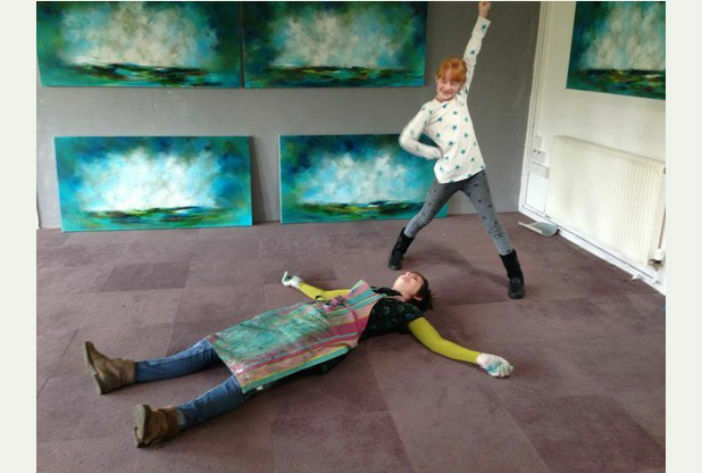 This is possibly her biggest commission to date and Laura felt very relieved when she finally handed over her paintings to local framer, Paul Wilton. The mother of three is now planning to open her own studio, along with artist Andrew Walworth and potter Ed Duckworth on 6 December. She is also now coordinating the 2015 Wyle Valley Art Trail.